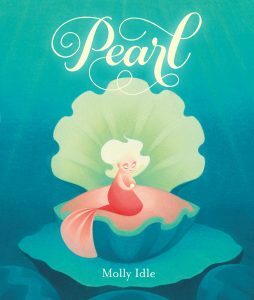 Inspired as a child by Disney’s “The Little Mermaid,” Molly Idle knew that when she grew up she wanted to be an animator. Her love of drawing and her ambition made her dream possible. She worked for DreamWorks Animation for five years, working on movies such as “The Road to El Dorado” and “Spirit: Stallion of the Cimarron.” When DreamWorks decided to make the switch to completely digital animation, Idle discovered that digital drawing didn’t fulfill her the same way and she was no longer happy in her job. She searched for a way to make a living by drawing and found the world of picture books. Molly Idle is both an author and illustrator, though she often illustrates the works of others. She illustrated Kristyn Crow’s Zombelina, Lisa Wheeler's People Don't Bite People, and Lynn Gordon’s Circus Fantastico, to name a few. Idle gained popularity with the publication of her book, Tea Rex, which she said was inspired by her son when he asked if T-Rexes drank tea. 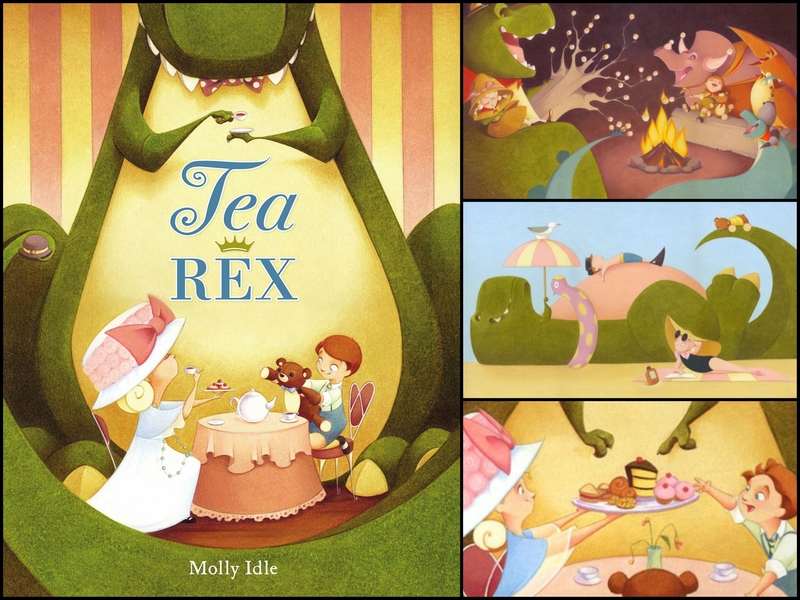 The charming illustrations of a giant T-Rex at a dainty tea party captured the hearts of thousands of readers. The success of Tea Rex led to sequels: Camp Rex, Santa Rex, and Sea Rex. Fans could not get enough of the playful art of Flora and thus a whole new series was created. The fun continues in Flora and the Penguin, and Flora and the Peacocks. Idle has even created board books for her littlest fans: Flora and the Chicks (a counting book), and Flora and the Ostrich (a book of opposites). People are often surprised when they hear that Idle does not use paint in her work. She works solely with Prismacolor pencils. Her process is all by hand and very time-consuming. She says, “I transfer the sketches by hand to a sheet of Bristol on my light table. I know it would be quicker to print my sketches directly onto the Bristol, but I really like doing it by hand. Once the line art is finished, I work each piece from back to front, building up layer upon layer of colored pencils with increasing amounts of pressure.” Idle also says that she is very careful about writing down the name of each color that she decides to use, and also notes the order in which she layers them, to make sure she can achieve the same color for each drawing. Her next book, Pearl, is to be published on October 9th, 2018. Is Molly Idle one of your favorite Author/Illustrators, too? Leave your comments below! For more information about Molly Idle, please visit her website.